If I've said it once (and I have) I've said it a million times, what would we do without wonderful NZ Sauvignon Blanc, it constitutes 77% of the wine we make in New Zealand & those around the world go nuts for it. Although we make only 1% of the world's wine - 17% of the world's Sauvignon Blanc is from little New Zealand down here at the bottom of the earth. Pretty amazing. of our Sauv production (86% of which is in Marlborough) 86% (more than 166 million bottles) goes overseas, there are brands that we don't even see here in NZ as it is made specifically to be exported. It's a behemoth and we own our wine industry to this lovely grape which originates from Bordeaux in France. So it makes sense that we should celebrate it right? With that in mind I have six (yes SIX) lovely Sauvs to talk to you about today. Three of which I talked about on the AM Show this morning & the other three on my usual slot on RadioLIVE with the gorgeous Wendyl Nissen. The wines I picked for The AM Show are combo of two more "typical" Sauvs & one that's a wee bit special. The Huntaway (yup as in the dog) 2017 is definitely the typical Sauv lovers Sauv but that's not a bad thing at all, its acidic, grassy with bright citrus & hints of pineapple, it's lovely, it's affordable & available widely for anywhere between $15-$18 dollars depending on where you purchase it. The Wither Hills "Rarangi" Single Vineyard Sauvignon Blanc is a wine I've talked about before, but it is actually well deserving of another mention as it is the Wither Hills flagship reserve wine, from a beachside single vineyard site this wine was given the top marks out of a selction of more than 80 NZ Sauvignon Blancs by Wine Guru (and some might say God) Robert Parker last year. This is the wine for those that don't like the super high acid of Sauv as it's slighly more pared back and sophisticated. It's also priced really reasonably at $25, available at liquor stores and some of your more fancy supermarkets. As we have featured NZ Sauvignon Blancs before on The Long Lunch I wanted to pick some others that were a little bit special & a whole lot different. These are wines that I would describe as very non-typical but that just adds to their wonderfulness. The Ara "Resolute" Single Estate is a 2015 Marlborough Sauv which has been hand picked, wild fermented & aged in oak, none of which are characteristics you associate with Sauvignon Blanc you also don't associate this amount of texture & complexity with a Sauv either. 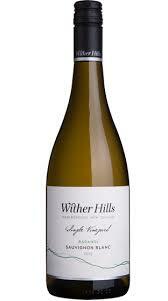 This wine is aromatic wine and complexity flavours of white peach notes and a long finish. A most unsauvy sauv for $25....I'm impressed. Finally the big daddy, this 2013 (yup that's the most recent release) Marlborough Sauvignon Blanc from Giesen is called "The August 1888", pronouned Aw-Goost is named after the Giesen Brothers Grandfather who was a Sommelier & it was their first small batch wine. It's impressive; big, complex with flaours of pineapple & brioche from it's time on Lees. It also has that gun flint/struck match character that some people don't like I actually don't care for if its too strong, but in this wine, it all just works. Not one for the financial faint at heart it costs $43 but it really is a wine to for a special occasion or popped in the cellar. So there you have it, my homage to New Zealand Sauvignon Blanc on the day. It's been amazing, let's do it all again next year!